FRIDAY, Aug. 10, 2018 (HealthDay News) -- A pair of new studies points towards two potential paths to the fountain of youth. When older adults feel more control of their lives and get more exercise, they feel younger -- and that improves their thinking, overall quality of life and longevity, the studies say. One study included 116 older adults (ages 60 to 90) and 106 younger adults (ages 18 to 36). For nine days, the participants kept track of how much control they felt they had each day and how old they felt. Among the older adults, there was a significant link between perceived level of control and how old they felt, according to the findings presented Thursday at the annual meeting of the American Psychological Association, in San Francisco. 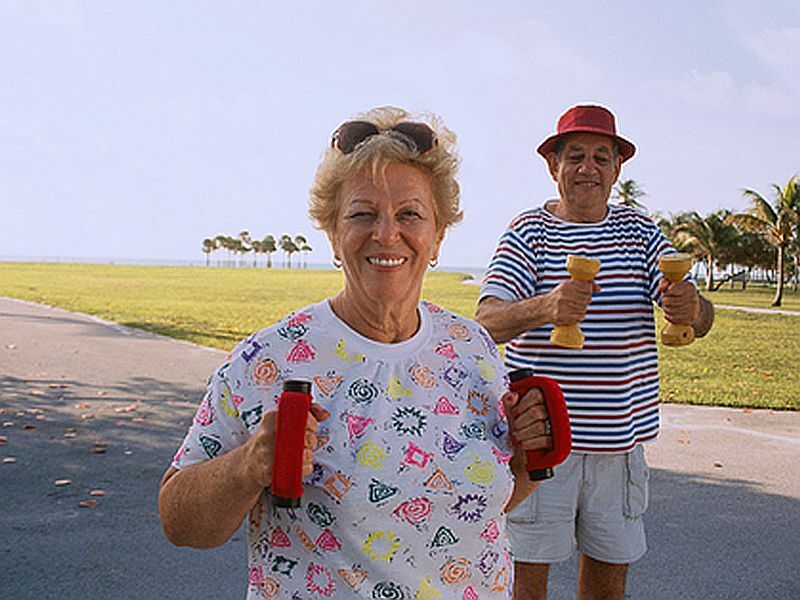 "Shaping the daily environment in ways that allow older adults to exercise more control could be a helpful strategy for maintaining a youthful spirit and overall well-being," study presenter Jennifer Bellingtier said in an APA news release. She is a postdoctoral researcher at Friedrich Schiller University of Jena in Germany. "Some interventions could be formal, such as a regular meeting with a therapist to discuss ways to take control in situations where individuals can directly influence events, and how to respond to situations that they cannot control," Bellingtier said. "Smartphone apps could be developed to deliver daily messages with suggestions for ways to enhance control that day and improve a person's overall feeling of control," she added. The second study, also presented at the APA meeting, found that increasing physical activity can help adults feel younger. It included 59 adults, ages 35 to 69, whose daily step counts were tracked. After five weeks, those with greater increases in their step counts felt younger. "Our results suggest that promoting a more active lifestyle may result in a more youthful subjective age," study presenter Matthew Hughes said in the news release. Hughes is a postdoctoral scientist at the Adult Cognition Lab at the University of North Carolina, Greensboro. "As this was part of a pilot study, our sample size was small," he noted. "While the results suggest that walking may contribute to feeling younger, further research with a larger sample in a more controlled setting is needed to confirm."